The 30-minute guided ice cream factory tour is fun and educational for all ages. Getting your favorite flavor or trying a new one is a priority at the factory, so the full service scoop shop menu includes special items such as the Vermonster, as well as traditional favorites like waffle cones and hot fudge sundaes. Take the guided tour and view the award-winning cheese as it is being made. Youll learn a ton about cheese making, and Cabots history — not to mention a bit about Vermont agriculture. Following the tour, youre invited to nibble their many varieties of cheese, including the Worlds Best Cheddar and Best Flavored Cheddar. Check out the weekly specials and also the Cabot activity book. At the Great Escape Amusement Park, families young and old can experience a thrill alongside their favorite Looney Tunes characters. About 60 miles north of Albany, Great Escape offers park and water rides for all ages, live entertainment, and many dining options that will appeal to any taste. Think Killington Mountain is just a ski resort? Think again. Featuring an adventure center, mountain bike park, golf course, as well as events, resort dining, a spa and sport center, their is something for everyone in the family to enjoy. A trip to Vermont is not complete without a visit to the New England Maple Museum! Nestled in the foot hills of the Green Mountains, the museum is conveniently located on Route 7 in Pittsford, just outside the village. Learn about the history of maple syrup, taste some samples and purchase some syrup to take home with you. Shelburne Museum in Shelburne is one of the countrys most diverse museums of paintings, folk art, quilts and textiles, and New England history and architecture. Over 150,000 works are on view in 39 exhibition buildings located on the museums 45 acres of lilacs, landscaped grounds, and gardens. The Vermont Marble Museum is the largest marble exhibit in the world, and a great source of pride for generations of Vermonters. Through the displays, exhibits, galleries, gift shop and grounds, the Vermont Marble Museum tells a unique story of the people and places that made up Vermont’s marble industry, linking historical, artistic and cultural traditions, and connecting the past with the present. This architectural masterpiece was built in the middle of the 19th Century in the heart of the Green Mountains. The Castle stands as a monument to the heritage of the past. Come check out the tours, throw a party, or enjoy a murder mystery dinner. The Montshire Museum of Science is a hands on museum located in Norwich, Vermont with more than 140 exhibits related to the natural and physical sciences, ecology, and technology. The building is located on a 110-acre site near the Connecticut River with the museums outdoor environment being a large part of a complete visitor experience. Your adventure awaits as you discover Ticonderoga’s epic history by water or through a visit to the 2,000-acre museum campus. Step aboard Carillon Cruise boat to ride the wake of epic history on Lake Champlain and be surrounded by unspoiled natural beauty. Visit the iconic, restored fort, which was known as the “key to the continent” in the 18th century and the site of America’s first victory of the American Revolution. 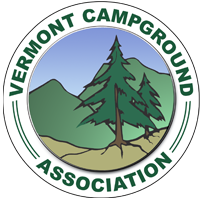 Come enjoy the Vermont State Fair, from August 16th - August 20th. There will be amusement rides, a demolition derby, concerts, games and more!